So after YEARS of dreaming and discussing we were finally able to take a trip out to the Pacific Northwest. It's been so long I'm not even sure when or how our obsession started - all I remember is the hours spent pouring over travel books at Barnes & Noble and scanning through endless amounts of Reddit forums and Pinterest boards. Since I currently work for a hotel we were able to get some pretty awesome deals and keep the costs semi-low so we agreed it was time. We had no reference other than what we had read/seen online so it almost felt like we were traveling to another country (which it pretty much is compared to the southern US). Like always, I took an infinite number of pictures so I decided to break up the posts a bit so this is just a general overview of what we did, places we ate, coffees we drank, and sites we saw. 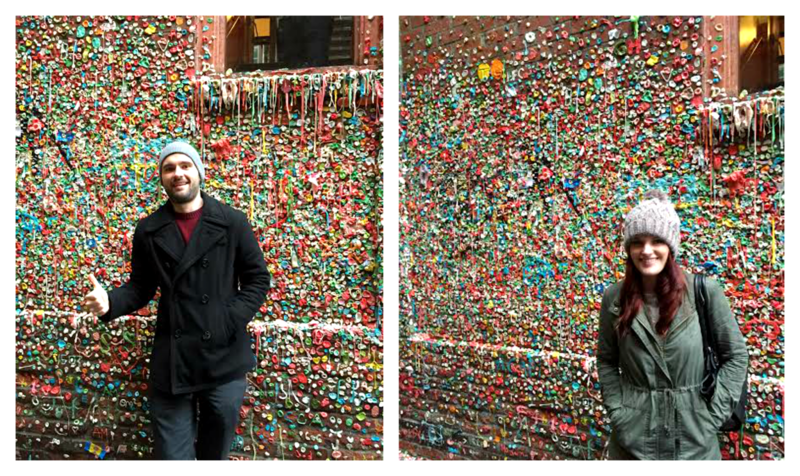 even though we only had one full day, I felt we were able to hit up all of the things on our list. Flew from Dallas to Portland then drove to Seattle (about three hours) for an arrival time of 4pm on a Friday Afternoon. Our hotel was right down from the Space Needle and about a mile from Pike Place. We were able to walk down to the Monorail and take it straight to the market. While most of the vendors were beginning to shut down, it was kinda nice experiencing it for the first time in this peaceful state. The ideal time of day we came to find out is first thing in the morning (around 8-9) you get to see everyone setting up and you still beat the crowds. There's a line outside for a reason. I would recommend getting the sampler, but my personal favorite was the scallop chowder. The crab roll is also good but it doesn't even compare to the quality of the soups. Grab a cold one and take a load off at this underground brewery. Sample the local smoked salmon and chill out in their BEER LIBRARY if you're not feeling the restaurant scene. You're welcome. -Make sure you stop by one of the produce stands and try some Washington apples! Our favorite was their new Opal apple. HOLY CRAP. This stuff is amazing, it's as if an angel in heaven sneezed and this fell down in a creamy delicious blaze of glory...alright, that might not be the ideal description but my point is, you gotta try this stuff! Their flavors vary from season to season but we tried the lemon cheesecake and marionberry. Nothing says cozy on a damp winter day then tea and crumpets! We ordered a steaming hot cup of English Breakfast with the honey walnut crumpet. This somewhat disgusting monument of epic proportions is one of those things you just gotta see - I didn't realize just how close it was in relation to Pike Place, there's also a cool little coffee place called Ghost Alley Espresso nearby that's worth a gander and a gulp. 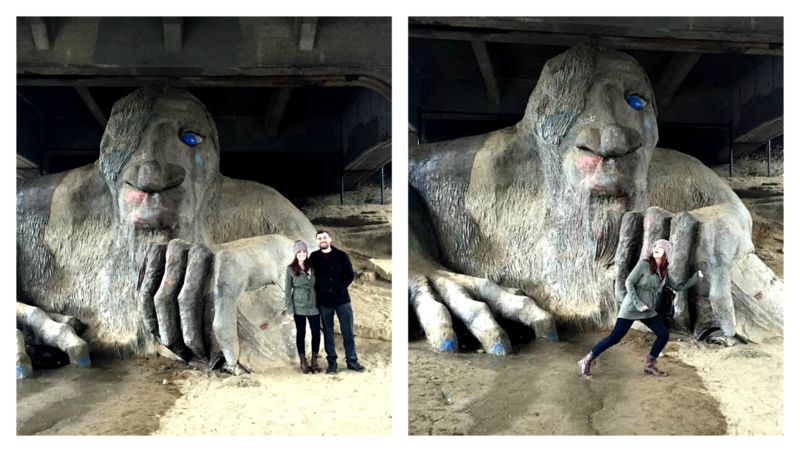 As if Seattle wasn't cool enough already they decided to build a freaking troll sculpture under the Aurora bridge! It was SO cool driving up that hill looking up into the troll and the Fremont area itself seemed like a super cozy harbor town worth exploring. Seattle's first neighborhood, this square offers a variety of restaurants and bars. It was pretty quite on a Sunday morning, but we were still able to get a killer cappuccino at Caffè Umbria. 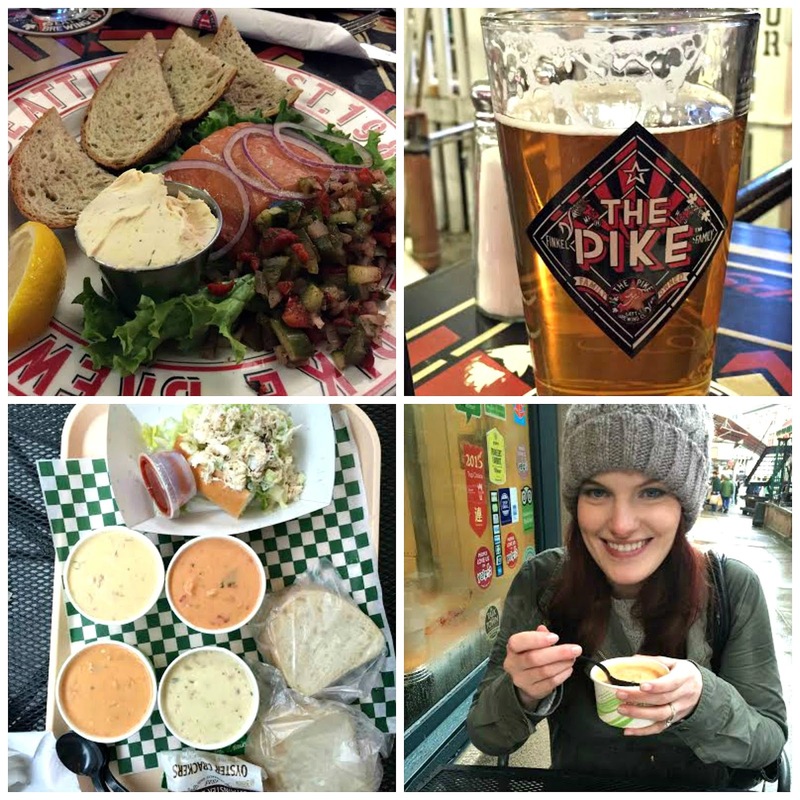 I am by no means an expert of Seattle and I definitely could've spent more time there and discovered new things but these are a few good starting points if you have limited time there like we did. 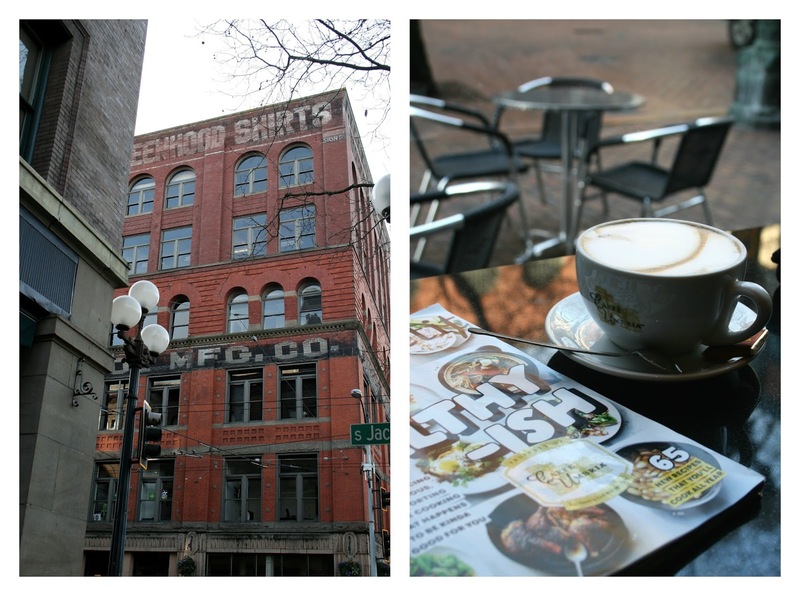 I will be posting a lot more from our vacation including a Portland post, more about where we ate and an entire post dedicated to coffee so stay tuned!